When it comes to social media, parody seems to be selling much more than originality. Taking over with thorough slapstick and wit, Bombay High Court is passing a judgment that’ll make you chuckle with its relatable content. With some light-hearted wisecracks, the parody of Bombay High Court is addressing its 217,935 followers on Facebook. Revolving the content around the life of a regular Indian citizen, this courtroom is taking the digital world through judgments we all wish we could hear. 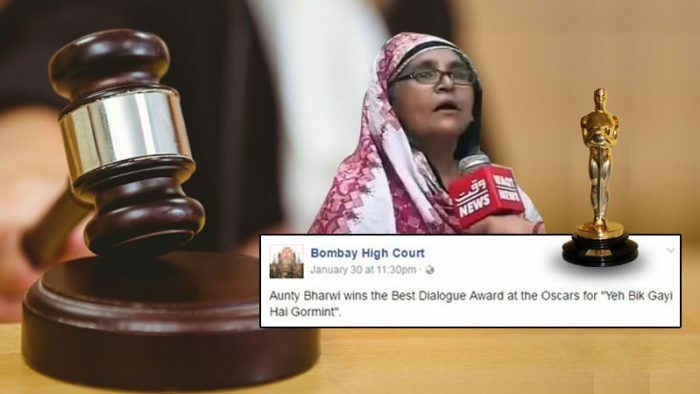 This page started by Aakash Shah usually puts one-liner posts that sound like mandates or official updates given by the High Court, but with their own humor – coated twists, more than often controversial. Crisp, topical, and obviously hilarious, here are our picks from the finest posts shared by the parody account of Bombay High Court on Facebook. Will people stop with all the wedding posts already? Tsk. Tsk. Or, be given life imprisonment? Maybe? But wasn’t this always our birth right? Apart from these, there are plenty of such posts for your daily appetite of social media gags, follow their page on Facebook and stay updated with all the judgement.